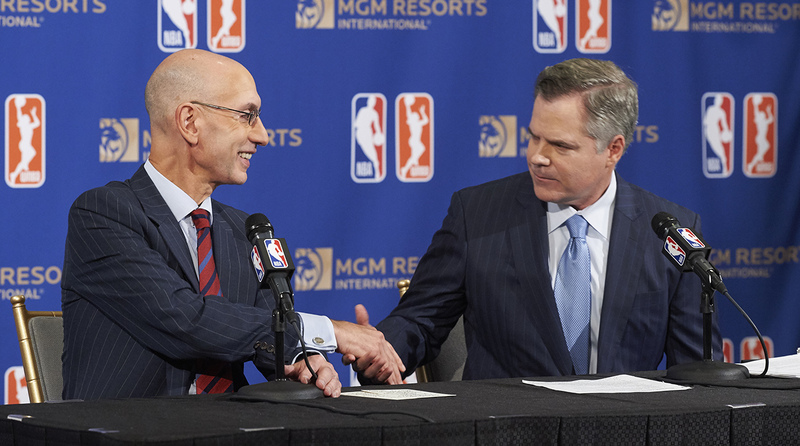 NBA commissioner Adam Silver announced Tuesday that the league had signed an agreement to make MGM Resorts the official gaming partner of the NBA and WNBA. 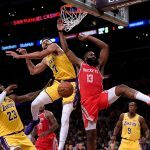 The deal is the first of its kind in American sports, and comes as several states are in the process of introducing legalized sports betting in the wake of May’s Supreme Court decision that overturned a federal ban on the practice. According to industry sources cited in an ESPN report, the partnership is for three years and has a value of $25 million or more. That’s not the kind of money that sounds like a major deal for either MGM or the NBA, but the actual value of the relationship between the two could go far beyond what the dollar value suggests. The deal will allow MGM Resorts to utilize league highlights, logos, and a direct, official data feed from the league in its sports betting operations. MGM will also see its branding appear on many of the NBA’s digital products, such as NBA TV and NBA.com. The two sides also plan to create a digital content series as well as other integrated content. 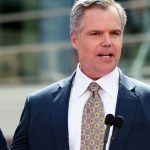 During a Tuesday afternoon press conference in New York City, both Silver and MGM CEO Jim Murren spoke about the benefits of their “historic” partnership. 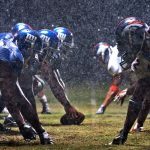 Both sides made a point of emphasizing the importance of maintaining game integrity, something that has been one of the major buzzwords in any discussion of expanded sports betting in the United States. One of the key integrity points that sports leagues have brought up has been the use of their official data rather than unofficial sources, though Silver spun this as a benefit for MGM as well. 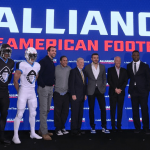 “Those operators who create the best experience for consumers that have official data, that have the official imprimatur of our league and other leagues as well, are going to be those that win in the hearts and minds of consumers,” Silver said during the press conference. Not included in the deal was any talk of integrity fees. However, sports gaming attorney Daniel Wallach told SI.com that the inclusion of other integrity-related provisions that leagues have wanted was still a win for the league. But the American Gaming Association (AGA) said that they were happy with the deal, one that allowed the parties to come to their own agreement rather than battle over the particulars of state legislation.